Credit scores are a lot like your health, you don’t even think about it until something goes wrong. Whatever you did to get a 580 credit score, it’s probably now keeping you from getting the money you need at a rate you can afford. That’s ok because now that you’re thinking about your score, we can start to see what happened and how to fix it. Understanding what goes into your credit score and how you got there is going to help increase your score and keep it where you want to be. What is a 580 Credit Score? Credit scores are a number between 350 to 850 and based on factors in your credit report. All your payments on debt are collected by three credit report agencies; TransUnion, Equifax and Experian and then those reports are used by a company called FICO to calculate your score. Lenders look at one of your credit reports, they’re all pretty much the same, and your FICO score to determine the interest rate on your loan and whether they approve the application at all. A credit score of 580 isn’t the worst you can have but it isn’t exactly good credit either. Why this matters is because most banks, credit unions and even personal loan sites have a cutoff score for which they can lend money. Is a 580 Credit Score Bad Credit? There’s really no such thing as a good or bad credit score. What matters is whether you are able to get approved for the money you need and at affordable interest rates. Your credit is ‘bad’ when you get turned down for loans or the interest rate you’re forced to charge is so high that you can’t possibly afford the payments. In this sense, a 580 credit score is going to be considered bad credit. That’s because the cutoff for loans from most traditional banks and credit unions is around 660 FICO. That’s the cutoff for prime lending, the point at which a loan qualifies for certain government loan guarantees. How Many People Have a 580 FICO Score? It’s easy to think that everyone has a great credit score except you. All you hear from bloggers is how they have awesome scores or how someone increased their FICO. 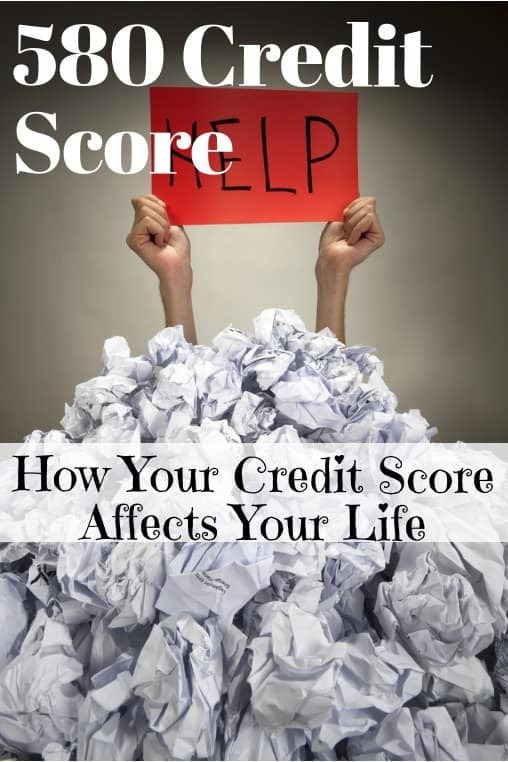 The fact is that most people struggle with their credit score. 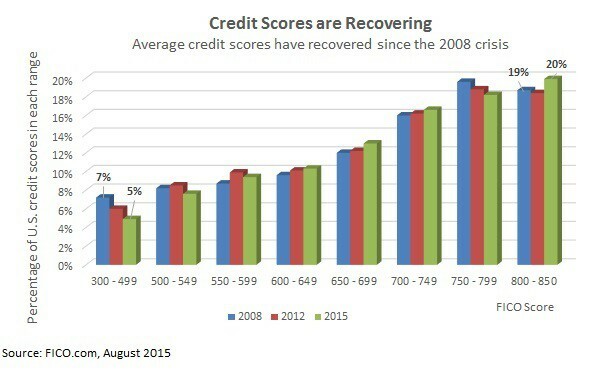 Credit scores were absolutely trashed in the 2008 financial crisis. I know, I saw my score plunge. Scores have increased since but are still lower than you might think. Approximately 21% of Americans have a credit score around or below 580 FICO. That’s one-in-five people with so-called bad credit. The stats are even worse when you look at credit scores by age. Credit history accounts for more than a third of your score. That means younger borrowers with limited credit history have an average score well below 600 FICO. How Many People Have a 580 Credit Score? Why Do I Have a 580 Credit Score? Understanding why you have bad credit starts with knowing what goes into your credit score. The biggest factors here are payment history (35%), total amount owed (30%), length of credit history (15%), credit inquiries (10%) and types of credit (10%). As mentioned, younger borrowers are often out of luck when it comes to credit scores. You don’t have that length of credit history and haven’t had the time to build a good payment history. You might not even have any bad marks on your credit report, there’s just not much good on there either. When this is the case, your best option is to get a small loan and start making payments or start using a credit card regularly. This will help build your credit history and your score should improve within a few months. Most people will have a 580 credit score for an entirely different reason. Your credit score drops between 30- to 60-points for a missed payment over 30-days late. You’ll lose upwards of 100-points on your FICO for longer delays in paying. The mother of them all, filing bankruptcy, will cause your credit score to plunge as much as 200 points and will stay on your report for up to a decade. Maxing out your credit cards will also cause your score to plunge. Combine this with applying for new credit cards or other loans and your score can drop fast. Most banks and credit unions are going to shut you out with a 580 credit score. These lenders typically sell their loans to investors for cash to make new loans. Any borrower with a FICO under 660 won’t qualify for federal loan guarantees and the bank won’t be able to sell the loan. That doesn’t mean you can’t get a loan with a 580 FICO but you have to know where to look. Since they are funded directly by investors, peer-to-peer loan sites are going to be your best option. Sites like SoFi and Upstart can approve scores lower than a typical bank will accept. Personal loan sites are also an option, especially the ones that specialize in loans to bad credit borrowers. I used PersonalLoans.com twice after destroying my credit, once for a consolidation loan and again for a home improvement loan. Understand that the rate on a personal loan or p2p loan is going to be higher than traditional bank credit but will still be below credit card rates. The benefit is that you don’t have to put up collateral so you won’t lose your house or car if you get behind on payments. Another benefit of personal loans and p2p is that it goes on your credit report and helps build your credit history. Your credit score isn’t set in stone and there are some tricks to increase your score dramatically to get better rates. My credit score bottomed out around 580 FICO in 2009 when I missed payments on rental properties and let some go into default. I now have a score over 800 so I know it can be done. Be honest about why you have bad credit. An emergency expense that put you deep in debt is one thing but chronic overspending and missed payments is another. We all make mistakes. What’s important is that you change your spending habits to make sure you keep out of debt in the future. Consider consolidating your debt with a personal loan. You can take out one loan at a lower rate to pay off high-rate credit cards. Since these loans have no prepayment penalty, you can refinance it at an even lower rate after your credit score has improved in a year. Consider going on a spending challenge to make extra payments on your debt. This doesn’t mean you have to go cold turkey on having fun forever. Set a three-month goal of cutting your budget to find that extra money you need. Have one credit card you use for regular purchases and pay off each month. This will improve your credit history, a big factor in your score, and help to minimize those late payments. If you have late payments or other bad marks on your credit report, call creditors to get the bad marks removed. Threaten to close the account or agree to pay off the debt if they mark it as paid satisfactorily on your report. Your 580 credit score may be keeping you from getting a loan but you do have options. Understanding where your FICO comes from and how the system works will help you manage your score and benefit from lower rates. Learn how to use credit wisely and don’t let your credit score lock you out of getting the money you need.